The prevalence of children with autism continues to climb. Teaching children with autism symptoms remains a major challenge for many schools. A recent report by the CDC (Center for Disease Control) reviewed information from 14 states and found that approximately 1 in - 150 children, 8 years of age have Autism Spectrum Disorder. There is no national or Military registry so true prevalence is unknown but it is more common than childhood cancer, juvenile diabetes and pediatric AIDS combined. Autism (sometimes called “classical autism”) is the most common condition in a group of developmental disorders known as the autism spectrum disorders (ASDs). Autism is characterized by impaired social interaction, problems with verbal and nonverbal communication, and unusual, repetitive, or severely limited activities and interests. Other ASDs include Asperger syndrome, Rett syndrome, childhood disintegrative disorder, and pervasive developmental disorder not otherwise specified (usually referred to as PDD-NOS). Males are four times more likely to have autism than females. Presently, there is not a medical test for autism; a diagnosis is based on observed behavior and educational and psychological testing. Autism diagnosis is complex and calls for expert assessment to judge the quality, frequency and alternative explanation for each possible symptom. 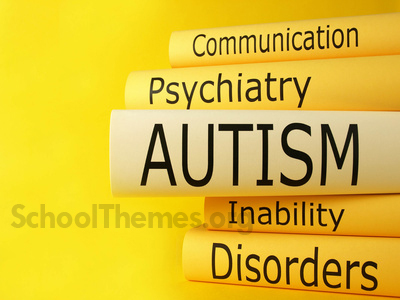 If there are positive symptoms in each of the three areas (Social, Communications, Activities) and at least six symptoms are positive overall, ‘autistic disorder’ (autism) is diagnosed. If less than six are positive and/or there are no positive signs among the individual’s ‘activities’ or ‘interests’, then pervasive developmental disorder is diagnosed. If there are at least two ‘social’ and one or more ‘activities and interests’ symptoms, and there is no intellectual disability, then Aspergers Disorder (Aspergers) may be diagnosed. If full criteria for autistic disorder are met, and there is no intellectual disability/ mental retardation, the individual is often then described as having high functioning autism (HFA). Pediatricians and family doctors most often get little to no training in diagnosing Autism or other disorders that are ‘behavioral’ diagnoses. There is no blood, gene, urine, or even brain test to determine if a child has autism. Multiple genetic components that may cause autism on their own or possibly when combined with exposure to as yet undetermined environmental factors. Timing of exposure during the child’s development (before, during or after birth) may also play a role in the development or final presentation of the disorder. A small number of cases can be linked to genetic disorders such as Fragile X, Tuberous Sclerosis, and Angelman’s Syndrome, as well as exposure to environmental agents such as infectious ones (maternal rubella or cytomegalovirus) or chemical ones (thalidomide or valproate) during pregnancy. Autism is a "brain difference" that affects how the brain is developed and the chemicals that send messages between nerve cells and across regions of the brain may also be abnormal in some cases. Children with mild autism symptoms respond more fully to treatment than those with severe symptoms. What are Signs of Autism ? The younger a child is, the less unique are the signs of any Autistic problems. An 18-month-old who has not yet begun to talk could be autistic, but he also might be deaf, mentally retarded, language-impaired, under-stimulated, from a bi-lingual home—or just slower to develop language that will be just fine when it does appear. It takes multiple indicators to have some degree of assurance that early concerns are signs of autism, and not something else. The Top 10 early signs of children with autism that are most common (statistically referred to as ‘sensitive’) as well as unique (statistically referred to as ‘specific’) are part of a pediatric primary care screening test, found at PDDST-II (Pervasive Developmental Disorders Screening Test) and can identify high risk for autism in infants as young as 18 months old. What are Key Treatment Factors for Children With Autism ? Beginning intervention early, ideally before 30 months. A high intensity of teaching with many opportunities for the child to respond. Direct, highly structured teaching of material organized with clear objectives. Well-trained, well-supervised teachers and therapists. Teaching geared to the developmental level of the child. Parent training to carry through learning principles to natural practice opportunities. What are Teaching Factors for Children with Autism ? Diagnostic testing will determine the child's mental age or age equivalent and this is where teaching autistic children should begin. For the child with autism, the brain engines that drive learning can be turning over at too low rpms, or misfiring. They are often not curious or eager and don't care about parental praise or acknowledgment. Success is achieved when children initiate an action, any action, they believe will lead to a specific response. Parents and teachers should encourage this activity and repeat it often. Your child's brain is always considering new ideas or possibilities. This exchange of thoughts is a profound accomplishment. Introduce the possibility of different outcomes once you and your child are communicating. Children with Autism do not learn to ‘act their age’ by simply being placed with others their age, but rather need to master skills at all the stages in between. Receiving a diagnosis of autism is a major life event and major stressor. Coping with the diagnosis and learning to manage treatment becomes a life task. Parents and teachers also need help becoming effective consumers of autism services, as well as learn enough about how their child learns to effectively provide ‘special parenting’ during the hours per week your child is not in organized treatment. Teaching children with autism and good parenting training should not just teach ‘autism-related activities’, but also support families in experiencing your child’s strengths. The hardest thing for parents of a child with an ASD will be that the ‘spectrum’ becomes more broadly defined with each year’s new prevalence study. This means not everything you read, perhaps not most of what you read will pertain directly to your child. Parent support groups, where parents meet and network about resources for autism with other families are very helpful to some families (Autism Spot). Many families find support groups most helpful when in the first years after the diagnosis when early intervention for the child is key and disruption to normal family life the highest. Other families find such resources less beneficial for cultural or economic reasons, or when their child has more difficulties than those of other families they meet as feelings of helplessness and despair may increase rather than decrease. Other parents prefer the relative anonymity of attending groups and lectures. Some greatly benefit from mentoring by a parent of an older child who has already ‘been there. Groups where the agenda is co-opted by one parent or a small clique (who only want to talk about one topic like vaccines or DTT programs) tend to fall apart so a good group needs access to a range of ideas and inputs. The Autism Society of America the oldest autism parent organization in the US or Autism Speaks, newest and now biggest are good places to start looking for this type of help on a local level. Eight states have specific laws addressing insurance coverage for autism: Georgia, Indiana, Kentucky, Maryland, New York, South Carolina, Tennessee, and Texas. Eleven other states require coverage for autism through their laws mandating coverage for mental illness; these states are: California, Connecticut, Illinois, Iowa, Kansas, Louisiana, Maine, Montana, New Hampshire, New Jersey, and Virginia. Time-limited, focused, Applied Behavior Analysis (ABA) methods have been shown to reduce or eliminate problem behaviors and teach new skills to individuals with Autism. Coverage of ABA is not the norm for public entitlement or self-funded health plans in the United States. ABA is a systematized process of collecting data on a child’s behaviors and using a variety of behavioral conditioning techniques to teach and reinforce desired behaviors while eliminating harmful or undesired behaviors. A List of certified providers is on the certificant registry at Behavior Analyst Certification Board. At the present time, no state licenses or has regulatory oversight over providers of Applied Behavior Analysis services. The Department of Defense was required to submit a report and follow-on Plan about services provided to Military dependent kids with Autism. Each of the military services has its own Exceptional Family Member Program (EFMP), a mandatory enrollment program that facilitates delivery of services to active duty families with special needs, including ASD. 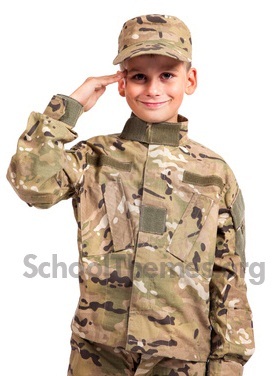 However, not all military dependent children with autism are enrolled. The Marine Corps has 784 children with autism enrolled in their EFMP program but the Army, Navy, Air Force and Coast Guard have no readily available information to report the number of children with autism. TRICARE is an entitlement program used as the Military Health System Plan. For children with autism, the TRICARE basic program covers services such as physician office visits, immunizations, and interventions such as speech therapy, physical therapy, and occupational therapy. TRICARE takes reasonable steps to assure the safety, efficacy, and quality of care it provides. The only available nationally recognized credential for ABA providers is through the BACB which certifies providers at the bachelor’s degree level (Board Certified Associate Behavior Analyst - BCABA) and at the master’s degree level (Board Certified Behavior Analyst - BCBA). TRICARE Management Activity established a requirement that ABA providers be certified by the BACB. TRICARE currently does not authorize the reimbursement of the “hands-on” provider of ABA services unless the provider is an authorized TRICARE provider. If a child resides on a base where there is a Department of Defense Education Activity School (DoDEA), then the Educational and Developmental Intervention Services program funded by each of the Services’ medical departments, provides and pays for early intervention services for children under three years of age. If there is no DoDEA school, then the local community early intervention program provides services and TRICARE has primary responsibility for paying for these services. Since public schools have primary responsibility for the provision of special education services, and the availability of services is variable, it is impossible to quantify the distribution of individuals of various levels of expertise to provide ABA and other intensive behavioral interventions for children with autism. ECHO replaced the Program for Persons with Disabilities. Under ECHO, qualifying active duty family members may receive benefits not available under the basic program. Qualifying conditions include moderate or severe mental retardation, a serious physical disability, or an extraordinary physical or psychological condition. “…Extended benefits for eligible dependents…may include… training, rehabilitation, special education, and assistive devices.” ABA, as a behavioral intervention that shapes behaviors and teaches skills, is a special education service that can be cost-shared under ECHO. Eligibility criteria listed in Sections 2.2 through 2.4 of Chapter 9 of the TRICARE Policy Manual 6010.54-M, dated 1 August 2002 at TRICARE Manual. TRICARE beneficiaries have found it very difficult to obtain services from TRICARE authorized ABA providers. TRICARE authorized providers are currently limited to those recognized by the BACB. These certified professionals are almost exclusively providing behavior analysis and intervention planning services rather than the one-on-one technical intervention that is the actual tool effecting behavior change in autistic children. (Autism Research Institute) ARI web link for military: Military Family Overview. Most autistic children qualify for services under the "Significant Physical Disabilities" act Section 2.3 by having problems with “unaided performance of at least one of the following major life activities is an ECHO qualifying condition: breathing, cognition, hearing, seeing, and age appropriate ability essential to bathing, dressing, eating, grooming, speaking, stair use, toilet use, transferring, and walking.” Initial referral for an "autism specialist to medically evaluate and treat autism" under section 3.10 on treatment of mental disorders, chapter 7 of the TRICARE Policy Manual 6010.54-M, dated 1 August 2002 at TRICARE Manual. Great Plains Lab (GPL) or Doctors Data (DD) do tests specifically for autistic children and are TRICARE-authorized. GPL info is at Great Plains, or send an email to gpl4u@aol.com, or call (913) 341-8949. Nutritional Supplements are NOT covered by TRICARE, unless they are fed only by tube, are prescribed by an MD, and are the child's primary source of nutrition. Most supplements can be ordered from Kirkman Labs or call (800) 245-8282. However, Kirkman Labs products and most of other supplements are available through the River Wellness Center Apothecary or (410) 992-4747, at a 15% discount on Kirkman Labs products and free shipping for all orders over $125. 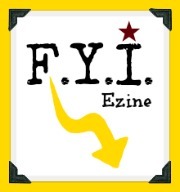 More info at TRICARE News, Health Net ECHO,and Service Centers. For those military families who have a dependent family member with a disability, Supplemental Security Income (SSI) may be an additional source of income. Payments are retroactive from the day you apply, not the day you are deemed qualified. These payments defray the costs associated with caring and providing supplies. In addition, if an individual qualifies for SSI, he or she will also receive Medicaid benefits. For military families, Medicaid will cover in almost all instances, the costs not paid by TRICARE.